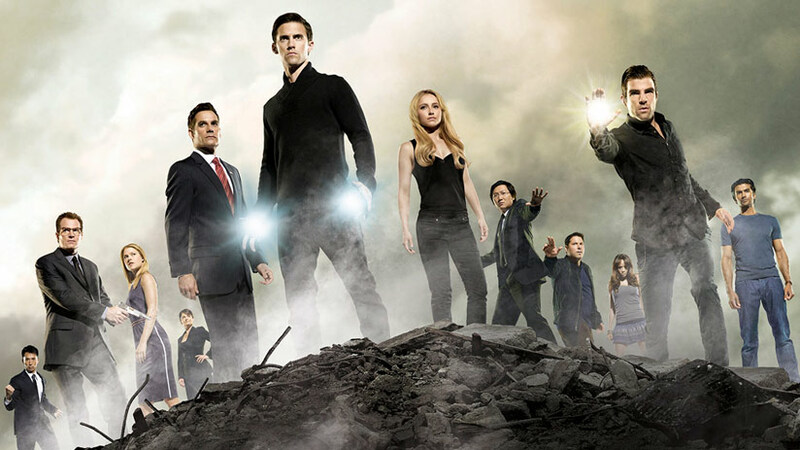 I learned this morning that the NBC show Heroes has been canceled after four seasons. I have been watching this show from day one and have never missed an episode. And yet, I am not really that sad to see it go. I was living in Florida when I first started seeing commercials for this show back in 2006 and I couldn’t have been more excited. I had just started getting into Smallville and was really into the whole super-hero theme. I was back in Boston before the first episode aired, and I thought that it started off with a bang, with regular people finding that they had extraordinary powers and learning to use them to fight an evil being that was killing those with powers. The whole first season was leading up to what I would have only assumed would be an amazing final episode - a battle between good and evil - while one character was trying his best to control his powers and not explode an entire city. That was the last time I even came close to thinking that about this show. The idea of this show was fantastic. The initial execution was nearly perfect - and something happened along the way, I’m not sure what it was, but things just got too - bloated. First, in the second season we started getting introduced to new characters with new abilities - and then they just scrapped them and we never heard of them again. Remember the black girl that could mimic anything she saw? I thought it was a cool character - but I don’t think we ever even got an explanation of why she was written off the show. Did we? Then there were just too many people with too many powers, and people without powers getting powers, and those that could absorb powers losing powers, then injecting themselves and getting some powers back - and those not being able to use their powers and then being able to. I’m not sure if I’m making sense here but it was these types of things that made the show stale. And the amazing plot holes are what made it dumb. I’d like to talk about a few right now just to get these off my chest once and for all. At some point during the third season, Ando got powers (of course, who didn’t) and he figured out that he could supercharge other people’s powers (that’s another thing, I hated how so many people had powers that could do “something” to other people’s powers). At one point Ando surmises that he supercharged a girl that had superspeed, they could run back in time. Without knowing exactly where and exactly when they needed to go, they ran back in time and got to the exact moment and spot they needed to so they could take something from the past. How did they know to do this - and get it right on the first time?? Dumb, lazy writing that pushes viewers away. Then, remember in the first season, the elder Dr. Suresh was looking for a “Subject Zero” to prove to him that people with powers, people that have evolved, do exist - and he found it first in Sylar. He seemed pretty excited that his theories had been proven true. And yet, a few seasons later we learn that Suresh worked at a camp in the 60s where he experimented on people with abilities. Then why was he so excited to find Sylar when decades before he already knew these people existed. Remember when Sylar stole the power of being able to transform into anybody? When Noah and Peter were looking into the original guy, they found a bunch of different clothes in his closet so that he could change and appear as just about anybody in any walk of life. And before I continue, can I also say that some of their character development was horribly bad? Let’s use Matt Parkman as an example. First he’s with his wife, then he finds out she’s cheating and she can’t live with him, so they split up. Then he’s private security, then he’s in love with the female speedster after 5 minutes, then he’s back with his wife again and finds out he has a son - and of course the son has powers - the power to turn things off and on. WOW. But, here’s my biggest gripe of all with this show - my biggest annoyance, and really the dumbest thing Heroes ever did….Nathan is really Sylar. When Sylar killed Nathan at the end of season three, Matt Parkman used Sylar’s power of turning into different people to force him to turn into Nathan. Then he forced his brain to think that he was Noah, and of course Sylar also had a power that allowed him to touch things and get all the memories of that thing - so he could have all of Nathan’s memories too. Perfect, right? No - it was dumb. Why the hell didn’t they just take Claire’s blood and put a little into Nathan? Boom, he’s fixed and no worries about Sylar later emerging (which of course he did). Remember when Nathan was burned badly? Or remember when Noah got shot in the frigging head!!! The blood healed Nathan and brought Noah back to life. Why couldn’t they just use a little again? Why? Because the writers were either lazy and forgetful, or they didn’t give a crap about their fans and figured we’d forget. So, even with all this complaining, I still watched. I watched Ali Larter play so many different characters that I lost count. I watched when a band of carnival workers with abilities came to town. I watched when Peter and Sylar were trapped together in their minds for what seemed like years, and then Sylar came out a changed - good - man. And, I watched when Claire showed the world that people with powers do exist by jumping off a ferris wheel. By the way, nice job by NBC for showing the final moment of the show in the previews. Way to leave us with no surprises. When that episode ended, even with all my complaints, I felt content with the show in some way. I felt they did “okay” with what they got themselves into, and I felt that the ending really could have served as a lead into yet another story arch in the next season, or as a final series moment leaving us to wonder where they go from there. I’ve read rumors that NBC may give Heroes the chance to do a television movie so they could give the show some closure - and yes I would watch it - but I’m totally okay if that never happens. And if it never happens - goodbye Heroes. Our relationship was far from perfect, but it lasted as long as it possibly could. Thanks for (some of) the memories.